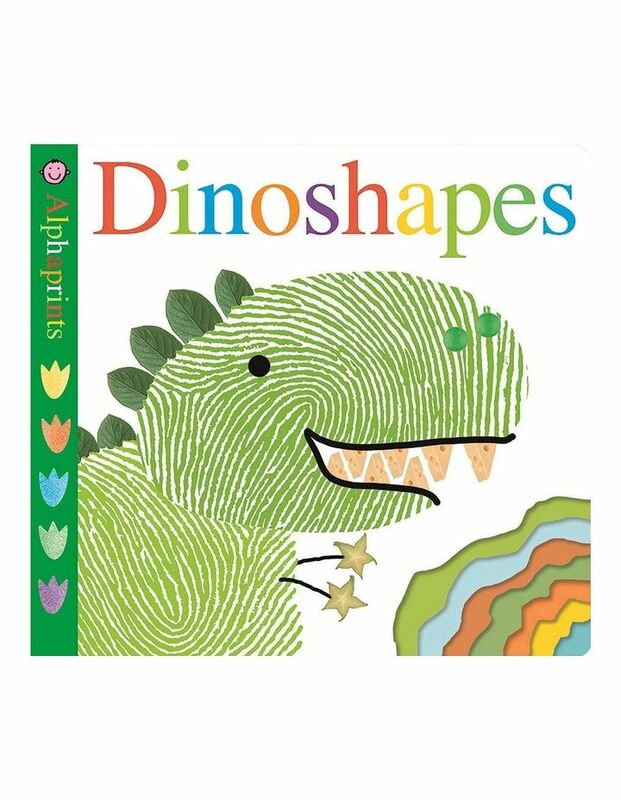 Learn about shapes with this Alphaprints book of Dinoshapes. From triangles to circles, rectangles to squares, each dinosaur on its illustrated, prehistoric background introduces a new shape for babies and toddlers to learn. Unique and appealing Alphaprints illustration style features finger and thumb prints that are turned into an array of amazing animals with the addition of simple illustrations and photographs of everyday things. With tactile, raised embossing on each fingerprint to explore, and a fun, shaped dinosaur bite die-cut across all pages in the bottom right-hand corner of the book and accompanied with imaginative text, this innovative board book is perfect for young children.